Opened January 2016 in the heart of Laguna Beach, Rasta Taco may be OC’s smallest restaurant, but what it lacks in size it makes up for with its big spirit of ONE LOVE. The restaurant celebrates its founders love for the passionate cultures and flavors of Jamaica and Mexico. Combining the Rasta-Reggae vibe of Jamaican roadside jerk-shacks and Mexican street tacos, this tiny brick and mortar restaurant borrows from both in flavor and spirit. Rasta Taco’s menu is rooted in traditional Mexican favorites, enhanced by Jamaican spices and seasonings. The outdoor patio and spirit of the location personify the positive, Rasta-Reggae vibe. Rasta Taco is the perfect place to take a break, enjoy some amazing food, and feel good. From weddings, corporate and private events, to backyard barbecue's Rasta Taco Catering offers the finest on-site, made-to-order taco catering for all occasions. Submit a quote request and we'll build a unique menu to fit your needs. 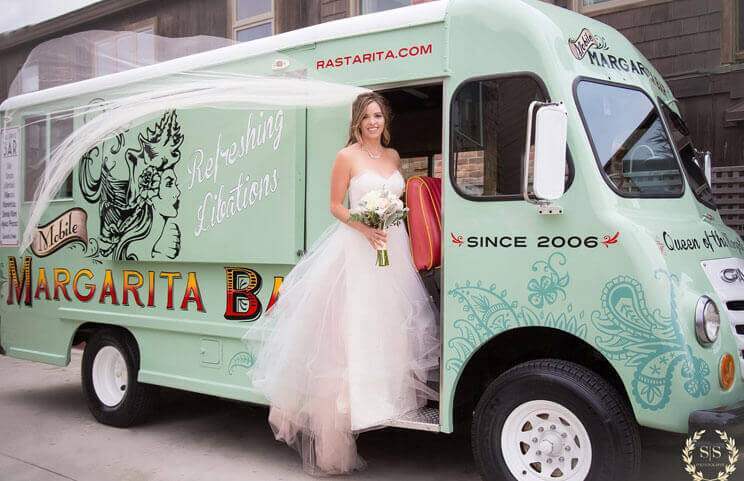 Established in 2012, Rasta Rita Margarita trucks can roll up just about anywhere to serve fresh, organic, on-the-rocks margaritas and specialty beverages. All our drinks are hand-crafted on-site. Submit a quote request and we'll build a menu to fit your unique needs.